Have you ever wondered why Natural handmade soap differs from more commercial soaps? 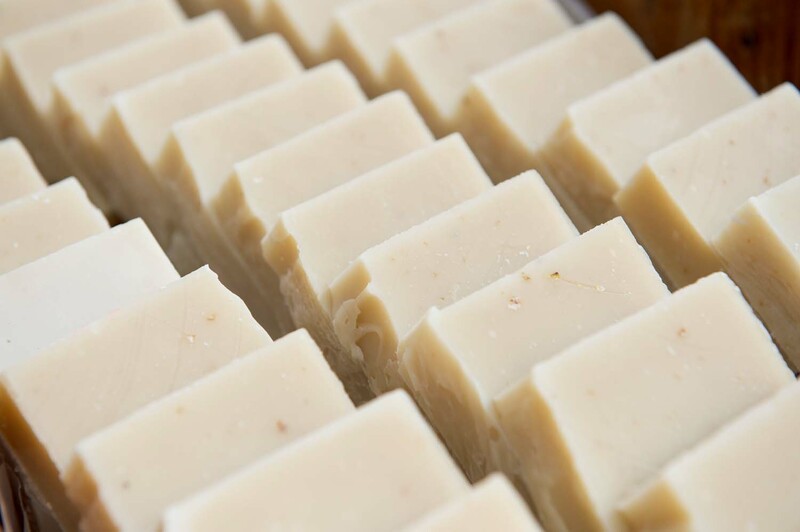 Although different handmade producers have their own formula and recipes, one of the main differences is that most handmade soap has natural oils as a base, as opposed to the inclusion of various chemically based additives which are present in many commercial soaps. So why do commercial soap makers bother with additives in the first place? It comes down to Glycerine. Glycerine is the element which gives soap its moisturising properties and occurs naturally during the soap making process. But it is also an important and popular commodity in its own right, often being extracted from the soap and sold on for use in cosmetics and skin care products. That natural moisturiser is often replaced with synthetic moisturising substitutes changing the make up of what should be a very simple process. Add on to that synthetic colourings and perfumes, and your skin is already exposed to a load of chemicals before you even get your moisturiser on! Wild Oats was born from wanting to make products for my own family’s skin that would smell gorgeous but be great for their skin. It seemed like I had to choose between one and the other. That is when I decided to make my own. I started with my preferred blend of natural oils, chosen for their lather, skin softening and moisturising properties and creaminess. Many of them are organic, but sometimes there is a choice to be made between sustainability and organic, like for instance with Palm oil. In my case, choosing a product that was Forest Friendly, in other words, preserving habitats for wild animals and maintaining a sustainable ecosystem, outweighed a certificate of organic status. Then there was the colouring. Loud colours just didn’t appeal, so I searched for ways to add gentle colour without compromising on the natural aspect of the soap. It turns out that spices and clays are natures paint box. Not just that, but they add silkiness and a myriad of other benefits to the soap. Finally, the scent. To me, scent was the key to all of the products I wanted to make. The soaps and bath milk had to be kind to skin but I also wanted to come out of the shower or bath with a subtle, natural scent that would linger a little. So I began my research. Essential oils are complex. Over months, I discovered that Lavender isn’t just Lavender, there are dozens of variations and blends and it took me some time to discover the particular oils that were just right for what I wanted in our products. For me, that entails hours spent sniffing beautiful, natural fragrance and carefully blending herbs and botanicals. There was still one important element I needed to explore. I wanted my soaps and bath products to have a feel good effect on the senses, not just the body. That’s when we started working on what effects different essential oils and scents had on mood. After a lot of blending and experimenting and mixing, we came up with a selection of essential oils that really do soothe both body and soul. Neroli uplifts, Lavender helps with sleep, Lime revives, and Bergamot has been used for relaxation and uplifting spirits for many years. There’s a whole other blog on the selection, history, use and benefits of pure essential oils, but for now, I’ll just take you through the soap making process. They say soap was discovered as far back as when animals were sacrificed on stone alters. Apparently, people found that some of the oils from the beast had mixed with the ash and a chemical reaction took place producing crude soap. Whilst some people still try to make soap from ash and animal fats, we tend to stick to using fruit and vegetable products and tend to work indoors rather than on draughty mountain tops. There are a few different ways of making handmade soap, but the most popular two ways are known as Cold Process Soap and Melt and Pour. Melt and Pour consists of melting a pre-blended mixture, which already includes Lye and oils, before adding your own fragrances and colours. This soap will be ready in a matter of hours and usually, though not always, has a translucent quality. For me, the down side of Melt and Pour is that there is no control over the basic oils and lye mixture, not just in what percentages or quantities, which would affect the feel of the final soap, but as importantly, there is less control over the provenance of those ingredients- whether they are organic, contain Parabens or preservatives, are tested on animals, or are from sustainable stock. These things are as important to us as the finished bar of soap. So although the Cold Pour Process is akin to making a cake from scratch, including making the jam and picking the strawberries , not to mention experimenting until the recipe is just right, it was an easy choice to choose this process to make our soap. The down side is that Cold Process Soap takes between 5 and 6 weeks to “cure” or harden before we can trim, wrap and pack the soaps by hand, so the process is a bit longer. But we think it is entirely worth it because the soap we produce for you is made from the very best ingredients available. So how do we make the soap in the first place? Having selected the grade and percentages of oils best for our mixture, we slowly melt the measured oils in a large melting pot. 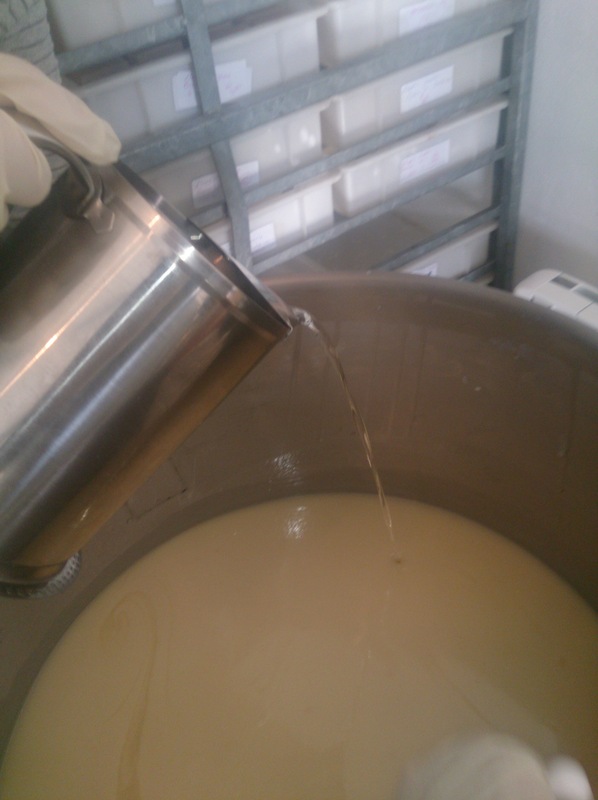 When our oils and lye (a mixture of caustic soda and liquid or flower waters) achieve the correct temperature, we carefully mix both together and stir until we get a smooth creamy mixture, like custard. It’s a bit like baking a giant cake mixture. Next we mix our nutrient oils, these are oils selected for various moisturising properties, like sweet almond oil which is gentle on the skin and not too greasy, or avocado oil for skin that needs a little more nourishment. After that, we add our botanicals, clays, milks and hand ground oats. Finally, we carefully add our blend of specially selected fragrance in the form of pure natural essential oils. This is where it can get a bit sticky. Certain essential oils can cause what is called “acceleration of trace”. In plain English, they cause the mixture to thicken up really quickly. So when we use these oils, we need to add them at the exact right time so that we maintain that nice pourable creaminess. The mixture is now poured into pre-lined moulds and left to harden for anything between 24 and 36 hours, after which they are cut, stamped and left to cure for around 6 weeks, when they are hand-wrapped, packaged, batched and sent off to go out on the shelves. Our bath milks are made in an entirely different way. We blend varying amount of salts, milks, oats and essential oils to end up with a treat for the body- relaxation in a bottle so to speak. All of our ingredients are food grade, so not only are they natural, but they are of the purest quality available. 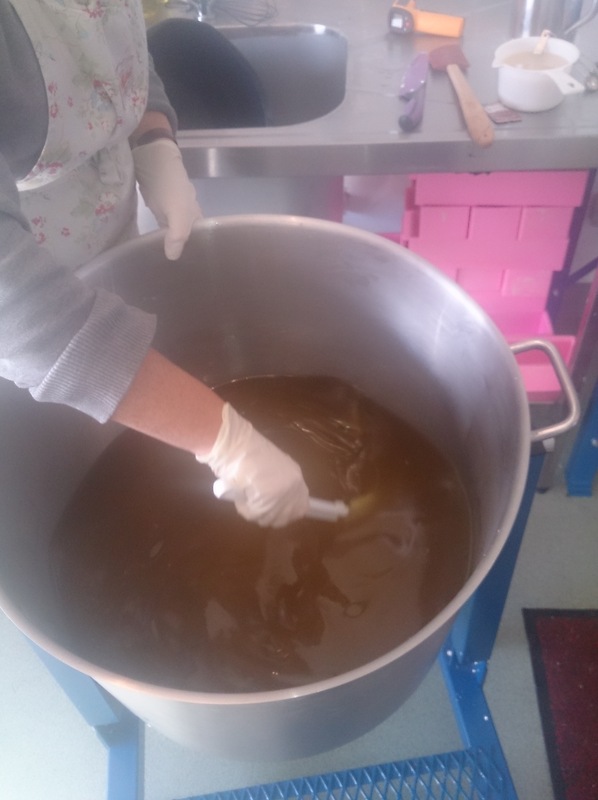 We at Wild Oats absolutely adore the whole soap making process. 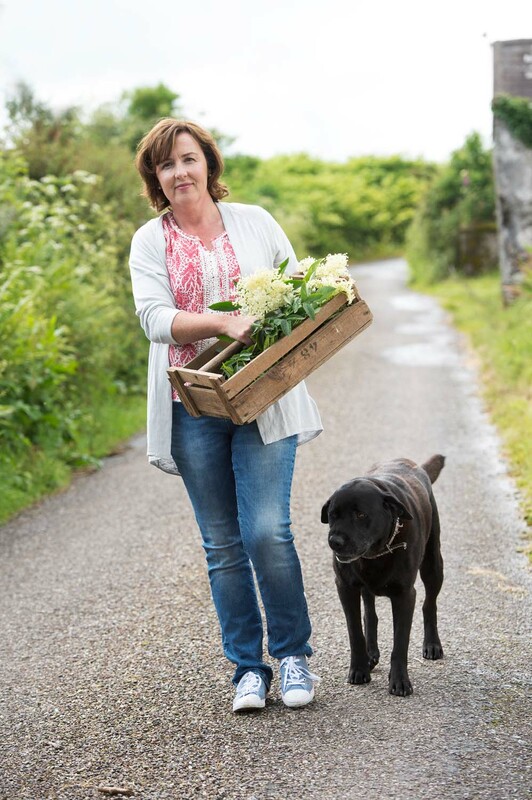 From picking the elderflower in the hedgerows near Lismore in June, to grinding the Flahavans Organic Oats used in each bar, to researching and acting as essential oil mixologists to get the right blend for our soaps and bath mixtures. This is our passion. Written by Karen Cottier of Wild Oats Soap. Find your local LloydsPharmacy here. This entry was posted in Beauty & Fragrance, Personal care and tagged handmade, Ireland, Irish, lavender, made in ireland, natural, natural soap, skincare, soap, waterford, wild oats soap by lovelloyds. Bookmark the permalink.